This site is the result of an on-going project, set up to photograph and record all the leaf mining fauna which occur in Britain. Use has been made of SLR and Digital cameras, as well as Scanners, in compiling this site. The leaf mining fauna include Coleoptera (beetles), Diptera (flies), Hymenoptera (sawflies) and Lepidoptera (moths). The images on this site are copyright and remain the property of the owners. Permission should be sought for further use. 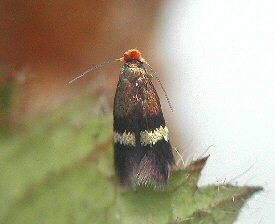 The lepidoptera maps on this website are updated using data from the Leaf-miner Moths Recording Scheme.